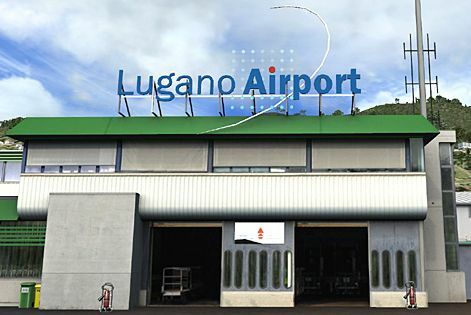 Approximately 200,000 passengers per year pass through the airport of Lugano. Please see www.lugano-airport.ch for detailed information. This international airport is situated in Italy, at about 48 Km from the centre of Milan and at about 60 Km from that of Lugano (Switzerland). Malpensa is a new hub and a sorting centre both for air, road and railroad traffic. Taxis are available on the Arrivals floor at exits 4 and 5; they may be identified by the sign on the cab “Taxi autorizzato al servizio aeroportuale Lombardo” (Authorized Lombard Airport Taxi Service). There’s also the possibility of using a collective taxi (3 people). Taxis are available in front of “arrivals” and may be identified by the sign on the cab “Taxi autorizzato al servizio aeroportuale Lombardo”. Please remember that to drive on Swiss motorways it is necessary to be equipped with the motorway sticker that is to be applied onto the car windshield (cost 40 SFR - valid from Jan.-Dec.). It can be purchased at Customs. It’s possible to conveniently park your car in many city carparks all reachable on foot.